Jesus' resurrection was just the beginning! 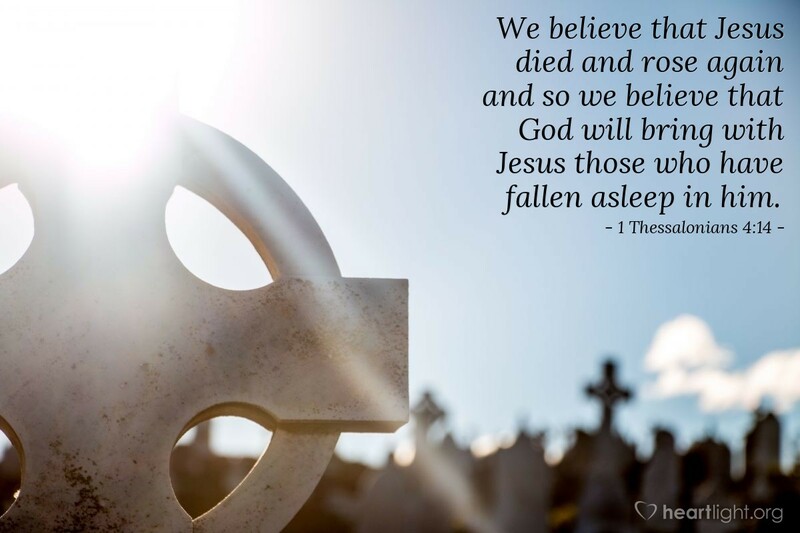 His resurrection means that those of us who have faith in him, who trust in the Father that raised him from the dead, can have confidence that those who belong to him, whether they are living or dead when he comes, will also share in his victory over death. Loving Father in heaven, thank you for giving me the victory over sin and death in Jesus. I know that just as you raised him from the dead, you will also raise me up at the great day of Jesus' return. Please use that resurrection power in me to help me live more victoriously today. In Jesus' name I pray. Amen.